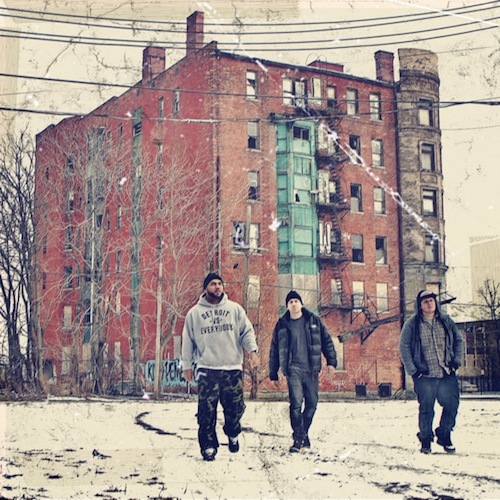 The Left consists of Apollo Brown, Journalist 103 and DJ Soko. I feel compelled to lay this out on the forefront right away, because if these three names aren’t showcased, then Gas Mask and its ability to showcase collaboration will go right over your head. See, without each fundamental piece, Gas Mask fails immensely. On the beats, Apollo Brown throws down robust production that melds haunting samples with industrial backbeats. Journalist 103 compliments the beats by running parallel beside them, and DJ Soko throws in cuts that enhance the track and engage the listener. 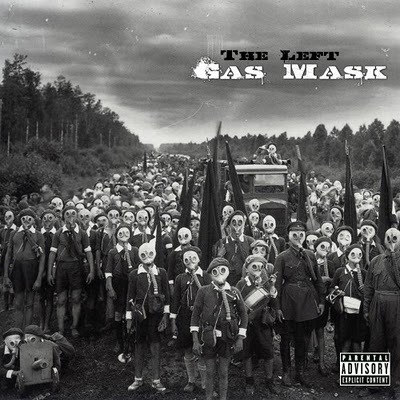 Beyond this, Gas Mask is a record that throws hip-hop survival in your face. With an ever-changing Detroit, The Left prove that they’re the “status of legends” by sticking with the environment and preaching their experiences at every turn. Apollo Brown’s distinct sampling techniques and percussion production may seem tedious at times, but that’s part of what makes Gas Mask such a cohesive record. “Caged Birds” clatters with open hi-hat smacks; “Battle Axe” expands organ synths and compounds them with drilling bass throbs that intimidate; and “Real Detroit” shows off Brown’s ability to create symphonic masterpieces. If Gas Mask is the best hip-hop record Detroit’s made in the last five years, then I really wouldn’t mind. At times, this record seems stressed, but when looking at the bigger picture, that’s exactly what The Left had intended. Gas Mask is the fight, the struggle, the liveliness and the celebration of Detroit, and very rarely does ANY record accomplish such a feat regarding its given city. As the album progresses, the realness of The Left continues to take shape. By the start of the third full-length song, “Binoculars,” Gas Mask emerges as an example of how the collaboration of artists can be used to create engaging content without sacrificing the message they wish to convey. In this case, The Left uses music to describe the city of Detroit, the status quo of popular music, profiling based on race and gender and how they process that experience. These lyrics would be powerful regardless of the beat. However, their meaning is amplified by Apollo Brown’s ability to craft strong beats that accentuate the story the MC is trying to tell. This is true of the entire album, making it an engaging and educational listen. The best part of this record is that it never gets boring. For me there is always something new that I didn’t catch the first time around. Besides that, the subject matter within the album is important to think about and attempt to change in our everyday lives. If you’re looking to hear some fire, think about something from a different perspective and suffer from whiplash from nodding to the beat that Gas Mask is for you.